"I’ve been a patient of Dr. Willen’s for 30 years. Wouldn’t think of going anywhere else!" "I love Dr Willen and his staff. The nurse is very helpful and nice." "Dr. Willen and his office are so efficient.."
"I highly recommend this doctor, he did an AMAZING job!" 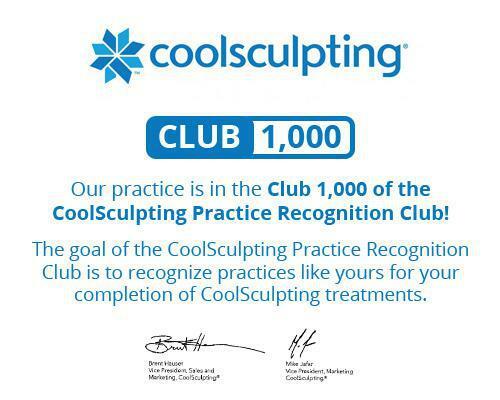 Request a free consultation for CoolSculpting or MonaLisa Touch! Cool Mini, FDA cleared in 2 different areas of the body! Tahoe Women's Care will be offering 25% off of your total package purchased for Cool Mini treatments of the chin through December! Gary F. Willen, MD, MBA, provides compassionate gynecologic care for women at Tahoe Women’s Care in Carson City, Nevada. His 38+ years of experience have equipped him with the expertise to handle a range of women’s health services, from young women’s first exams to family planning to menopause management. In a noteworthy educational feat, Dr. Willen earned his bachelor’s degree from Rensselaer Polytechnical Institute in just two years. He then graduated from Albany Medical College of Union University with his medical degree when he was only 23. Dr. Willen completed his residency at the University of Miami-Jackson Memorial Medical Center after delivering more than 3,000 babies and performing 500 surgeries. After his residency, Dr. Willen was board certified in obstetrics and gynecology, and he practiced obstetrics and gynecology in Ohio for five years before opening his private practice. Dr. Willen founded Tahoe Women’s Care in South Lake Tahoe, California, in 1984. By 1988, he had expanded his practice to Carson City and continues to practice at both locations. He also maintains affiliations with Carson Valley Medical Center and Barton Hospital. Dr. Willen returned to school to earn his Master’s of Business Administration from the University of South Florida in 1997. In addition to the high value Dr. Willen places on education, he’s also devoted to the latest in surgical advancements. In 1996, Dr. Willen was one of the first gynecologists in his area to become accredited by the Council for Gynecologic Endoscopy. He later pioneered several minimally-invasive gynecological procedures and has been extensively involved in research studies for the makers of the da Vinci® surgery robotics. He also specializes in urinary incontinence and organ prolapse diagnostics and treatment. Dr. Willen maintains memberships with the American Association of Gynecologic Laparoscopists, the Society of Laparoendoscopic Surgeons, and the American Medical Association. He is also a member of the American Association of Physician Executives. Speak Spanish? We have an interpreter! Our Practice Offers You Personalized Care | Call our patient care advisor today! At Tahoe Women's Care, we accept most major insurance plans. Please contact our office insurance specialist, Suzanne, if you do not see your insurance plan listed.